Growing up in the Peruvian highlands and seeing the socio-environmental conflicts that arose as the glaciers melted, Kelly Meza Prado was naturally driven to explore the intersections between crisis, development, environment, justice, and peace. She focused on turning her passion for the environment into practical ideas that could help shape her country and her world. While attending high school in Peru, Kelly witnessed agricultural issues surface as a result of climate change. 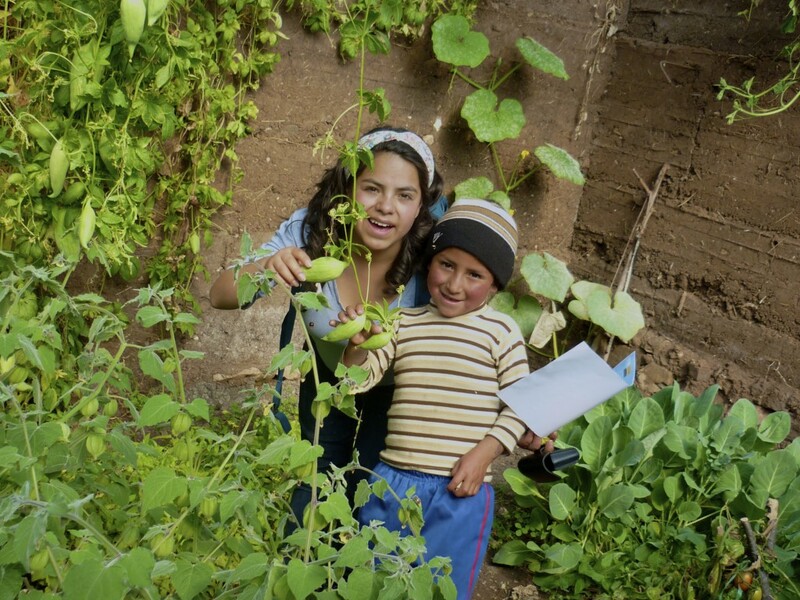 Her community experienced damaged vegetable crops due to extreme and unpredictable weather. With the help of a $10,000 grant from The Davis Projects for Peace foundation, Kelly designed and built 15 greenhouses for the Chicche community. They allowed the community to grow vegetables year round, increasing food security and providing extra income to the community. Kelly founded The Sustainable Rural Dwellings Project, an organization that paired local architects and environmental engineers with young professionals to improve the livelihoods of those living in rural Peru. After realizing 82 percent of the rural Peruvian population is affected by indoor pollution, Kelly’s group turned its attention to this environmental challenge. Although the government improved cookstoves to reduce the emission of carbon dioxide, carbon monoxide, nitrogen oxide, and other volatile compounds into Peruvian homes, these new cookstoves didn’t provide enough heat to warm the families. The Sustainable Rural Dwellings Project, under Kelly’s guidance, invented a cookstove design to minimize indoor pollution while meeting Peruvian families’ cooking and heating needs. Her scholarship from the Hawkinson Foundation will allow her to continue developing her unique cook stove design. She plans to work alongside the Chicche community to get these cookstoves into homes. Kelly credits United World College, comprised of schools and colleges in 16 countries, and St. Olaf College as being instrumental in raising her awareness and understanding of the concepts of environment, peace, and justice. 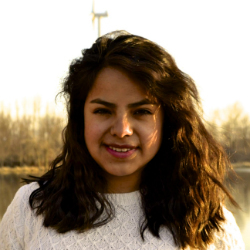 She graduated in 2016 from St. Olaf College and has plans to further her education with a Master of Science in Natural and Environmental Resource Economics. In the meantime, Kelly will join the University of Minnesota Institute on the Environment as a research assistant supporting the Natural Capital Project, a project that develops tools and approaches to helping countries, companies, communities, and organizations worldwide make smarter decisions for a more sustainable future. Her specific work will focus on global forest landscape restoration projects in partnership with the Internationals Union for Conservation of Nature (IUCN) and governments of Latin America.